In Parliament on Tuesday, Sarah Champion MP, Shadow Minister for Preventing Abuse and Domestic Violence, will sign a letter demanding a commitment from the Home Office to provide three years core funding to Broken Rainbow, the only Lesbian, Gay, Bisexual and Transgender domestic (LGBT) violence charity in the UK, and to halt its closure. Broken Rainbow has supported over 42,000 people since it was formed eleven years ago and runs the only LGBT domestic violence helpline in the country. Despite this, the charity is now less than a month away from its funding running out and has received no communication from the Government whether any financial support to keep the charity's services running will be forthcoming. If no funding is found, the charity will close. 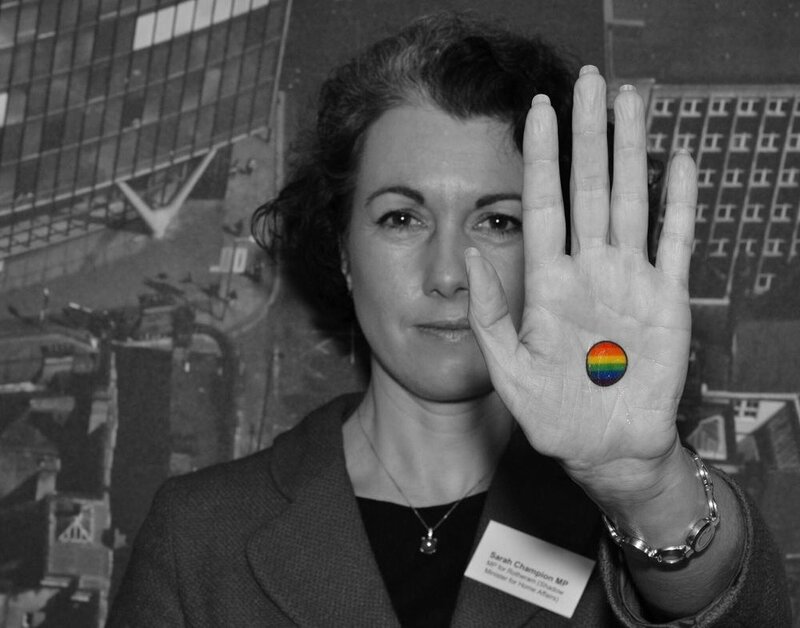 Sarah Champion MP raised the issue in early February when she visited Broken Rainbow's Manchester headquarters as part of the Rainbow Dot campaign that aims to raise awareness of the issue of domestic violence in the LGBT community. At the event on Tuesday evening, MPs will be invited to sign the letter to the Home Office and will watch a presentation from Broken Rainbow highlighting the issue of domestic violence in the LGBT community and outlining the challenges they face as a charity. The Government must commit to providing core funding to Broken Rainbow, the country's only LGBT charity for those suffering from domestic abuse. The LGBT community pays its taxes so why doesn't the Government see fit to support a service that meets their needs? If the Government is unwilling to support the only national LGBT domestic violence charity in the country, it sends out a very dangerous message that the Government does not view the 10,000 people a year who use the service to be high on their list of priorities. WHY HAVE YOU NOT ACTED, MR CAMERON?